Inspire Responsive Blogger Template is stylish Personal responsive theme, It's Minimalist design makes it unique from other personal Blogger templates. 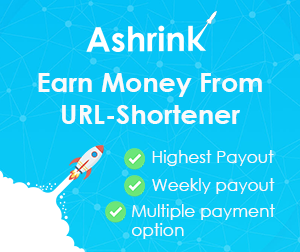 It's Suitable for all personal blogs, journal, story and other related projects. Inspire is SEO Ready Template that helps you to index your posts relatively faster than the rest of the Personal Blogger templates available on the internet.It's designed to get readers attraction through its minimalist design and soothing color. 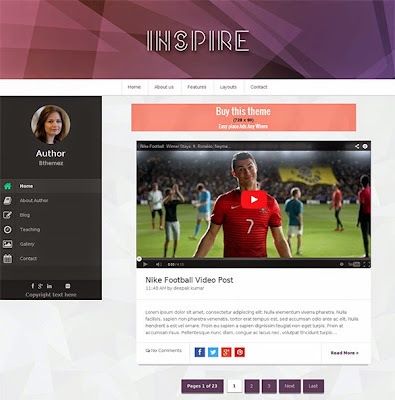 inspire allows you to post videos and images directly from the blogger dashboard. Following are some of the key features of Inspire Responsive Blogger Template. We wrote a very detail and clear guide to help you easy work with Inspire Responsive Blogger Template. But if you have any questions, please feel free to ask on our comment system, we’ll answer your questions immediately if you have same GMT with me (GMT +5.30). Note: Premium Version buyers will get advance and lifetime support guarantee.